My hydrangea grows beautiful green leaves, but I haven’t seen any blooms yet. How do I get my hydrangea to bloom? There are a few main reasons that you may not see blooms on your hydrangea bushes: sun exposure, over-watering and over-fertilizing. Endless Summer® hydrangeas prefer morning sun and afternoon dappled shade. If they are planted in full sun, it may be too hot and intense for the blooms to produce. 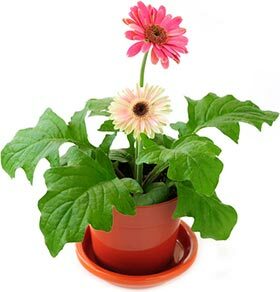 Also, over-watering and over-fertilizing your plants can inhibit bloom production. Hydrangeas prefer moist, but not wet soil, and one application of fertilizer in spring or early summer. For additional planting and care tips, please click here. I pruned my hydrangeas back after an early frost and now I am not seeing blooms. Why is that? How to prune hydrangeas is a great question. If you pruned your hydrangeas back to the base, it will take some time for the new growth to develop and produce blooms. Be patient and look for the green growth coming up from the base of the plants. That is where your new blooms will grow from! I had several small blooms on my hydrangeas last year, so this year I have fertilized every 10 days until I saw blooms starting to develop. What else should I be doing to get big blooms? The first rule of thumb is to NOT over-fertilize your hydrangea plants. We suggest one application of granular fertilizer in spring or early summer, and then follow package instructions afterwards. If you over-fertilize, it can burn the root system of your hydrangea bushes and actually inhibit bloom production. For more tips on fertilizer and how to achieve big, beautiful blooms, please click here. My hydrangeas have brown dry spots on the leaves and brown petals on the bloom. What do I need to do to make the hydrangeas healthier? If the spot is round and brown with a red to purple ring, you likely have Anthracnose. 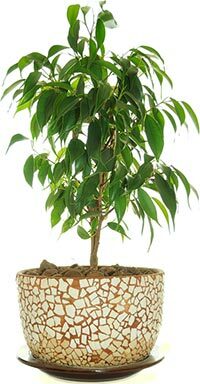 Remove the affected leaves and dispose away from your plants. Treat with a fungicide and repeat as necessary. If the margins of the leaves fade from green to grey and then turn brown, the plants were dry for too long. If the petals of the flowers turn brown at the tip, not enough water was applied. Both the leaves and the flowers will show lack of water very quickly. I planted my hydrangeas in a location with at least 6 hours of full sun and partial afternoon shade. I read online that hydrangeas prefer that I water them heavily once a week instead of a little water every day. Now my hydrangea bushes are turning brown with no blooms. What am I doing wrong? Depending on where in the United States you live will determine how much sun your hydrangeas can handle. If you are in a northern state (Zones 4 – 5b), your hydrangeas can handle up to 6 hours of sun in the morning, but as you get further south you should allow for more shade on your plants. In the southern-most regions (Zones 8 – 9), we recommend a maximum of 2 hours of morning sun. Too much sun exposure can cause your hydrangea shrubs to burn on its leaves and blooms. Also, be sure to put your fingers in the soil to see if it needs watering. We do recommend a soak versus light watering each day, but you should be sure that the soil is always moist – not wet – by sticking your fingers in the dirt. If it is dry, give it a good soaking. If it is wet, do not add water. For more information on where to plant and how to water, please click here. 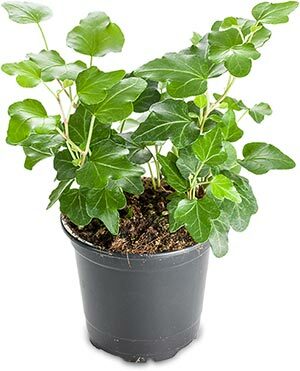 Do these hydrangea plants survive in containers? Our garden gets really hot, so I think a container would be a better option. Do I follow the same care instructions (watering, fertilizing, etc.) as I would in the garden? Absolutely! Hydrangea shrubs are perfect as potted plants and give you the ability to move the hydrangeas to different locations and create a focal point in your living space. The care instructions are mainly the same, with a few notable differences. For a complete look at container care, click here. What type of fertilizer do you recommend? I know that hydrangea bushes do best with certain kinds of fertilizer because of their big blooms, but am not sure what to buy! I bought these plants because I wanted big, beautiful blue hydrangea bush in my garden. I got big blooms, but they are PINK! What did I do wrong? 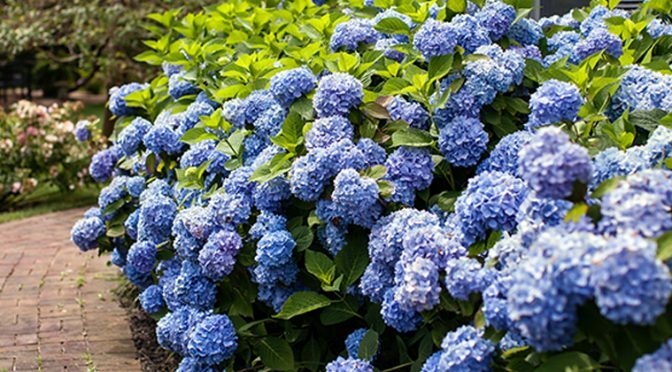 The pH level of your soil determines hydrangea colors. If you have a pink hydrangea and you want a blue hydrangea, no problem! Pink blooms develop in alkaline soil, so certain amendments need to be made to lower the pH and create an acidic soil situation. We suggest Color Me Blue soil sulfur to encourage blue bloom production. This is safe, organic and all-natural. There are also other natural remedies to changing hydrangea colors. To encourage blue blooms in alkaline soils, add aluminum sulfate, composted oak leaves, pine needles or coffee grounds. There are more tips, including how to change from blue blooms to pink hydrangea, click here. I planted my Endless Summer hydrangea in an area that is far too sunny and hot, so I’d like to transplant them to a more shaded area. What is the best time of year to do this, and are there any other tips I should know? If you are transplanting your hydrangea bushes, we recommend doing so while it is dormant.That means transplanting your hydrangea shrubs in late fall, after the first frost, or in early spring before it has woken up for the summer. I live in an area that gets a lot of snow during the winter. Should I prune Endless Summer Hydrangeas back like I do with my other hydrangea bushes? What else should I do to protect them from the freezing winter months? The great thing about Endless Summer® hydrangeas is that you don’t need to prune them back to the base like other hydrangeas. 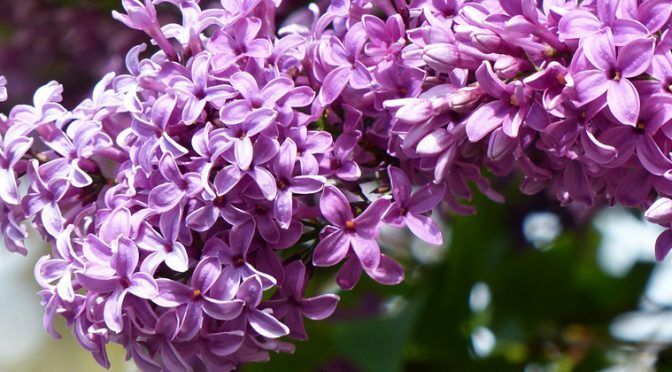 Since they bloom on previous years’ growth AND the new season’s growth, you can leave them all winter long to achieve double the blooms next spring. Do NOT prune the hydrangea back in fall. Leaving the fall blooms on your plants over the winter provides winter interest, and ensures you aren’t removing buds that will become flowers in the spring and summer. Leaves, wood mulch and/or straw are good options to insulate your plants. Mound the mulch or leaves around your plants at least 12” high to protect the flower buds that will bloom early next year. 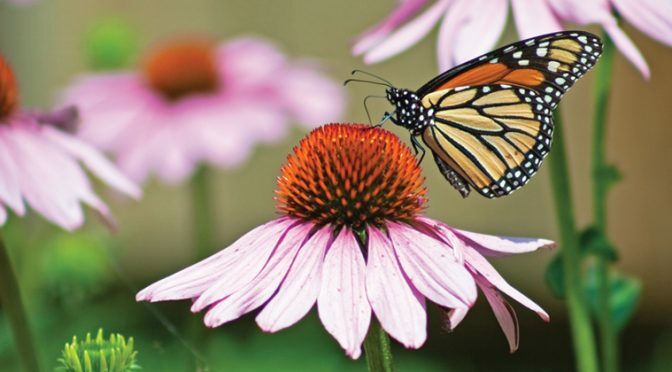 For more Overwintering tips, please click here. If your hydrangeas are planted in containers, please click here. Shade plants offer much more color and variety than most of us imagine. Your best bet is to stick with plants that note full or part shade. We find good definitions to be 0-2 hours of sun for shade and 2-4 for part shade, and like some light and bright tones to punctuate shade. Almost all spring bulbs work in areas around trees, since they will bloom before the tree leafs out. For lots of color in shade plants through the season, consider bright annual Impatiens. They’re especially great in two or three rows to create a vivid band of color on the front border. Begonias love shade, too. 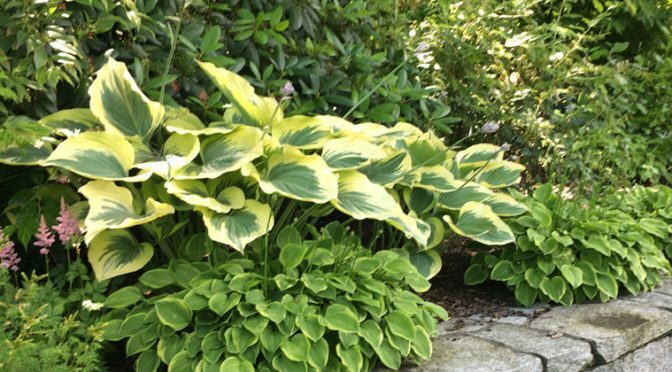 A great way to achieve long color in shade gardens is plants with variegated leaves. Mix in some Hostas with large areas of white in their leaves – there are some lovely limes, too. 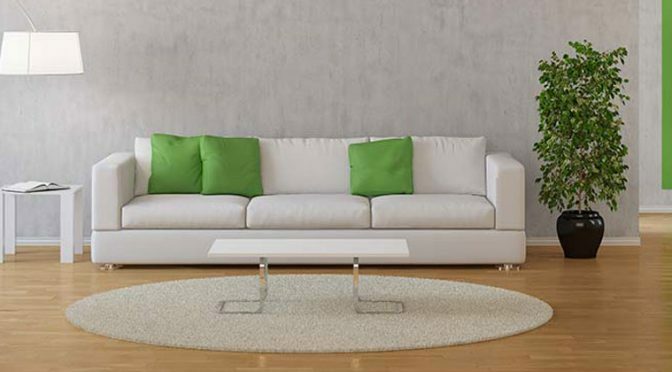 A large blue-green elegans is beloved as a great focal point. Other bright leaves include some ferns, especially the Japanese varieties. The delicacy of ferns’ leaves add beauty in shade plants, and Solomon Seal fills and spreads nicely (great with Dicentra, which dies back in heat). There are probably more varieties than you know – do some searching. One grass, Hakonechloa macra aureola, in gold, grows in shade, as does variegated Lamium and Brunnera with striking leaves and small blue flowers. 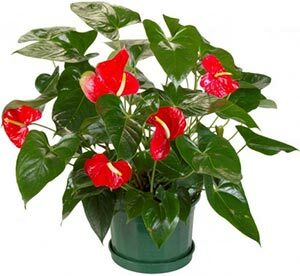 Caladiums are always stunning – try them with dragon-wing begonia for drama –and most Coleus prefer part-shade. 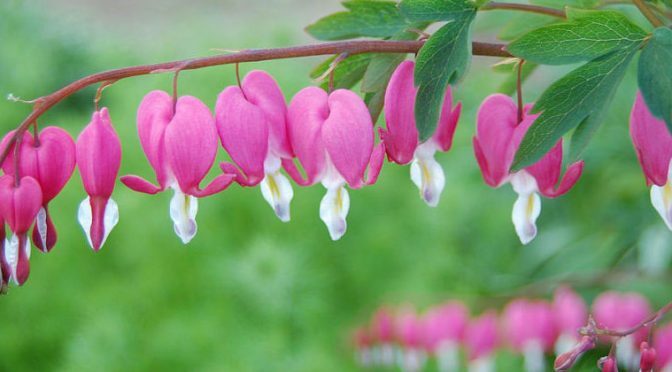 In the spring, Dicentra, pink or white bleeding heart, tiny flowers on arching stems, are gorgeous and seed freely. Primroses may bloom all summer in cooler areas, and do a spring and fall show in others – they’re small, so plan them at the front. Lily of the Valley has graced gardens for hundreds of years, Pulmonaria has patterned leaves and lovely spring flowers and Cordyalis brings in yellow accented by ferny leaves. In early summer, Huechera (coral bells) steal hearts. Older varieties flower in pinks to reds, and newer ones offer purple, orange and lime foliage (but tend to have rather non-descript white flowers). Heucherella and Tiarella (foam flower) are smaller versions of Heuchera with vivid leaves. Astilbes follow in many pinks plus white, red and lavender, love part shade and provide tall foamy flowers – fertilize them throughout the season and leave the dried flowers on for great winter accent. Aruncus (goat’s beard) is a tall display of foamy white flowers in June and July. Many varieties of Hemerocallis will grow in quite a bit of shade, and Tiger, Oriental, and Asian lilies do well as partial shade plants. Hostas bloom in purple or white, and tall scarlet lobelias are a great accent at the back of the garden. Sedum Autumn Joy is great in partial shade. Helleborus, or Lenten Rose, blooms between February and April depending on your Zone. Kerria Japonica is a true shade plant. Many Hydrangeas, some small decorative maples and Summersweet (needs lots of water) thrive in part-shade. It’s fun to discover how much you can do in shade, and shade gardens look cool and inviting whatever the temperature. 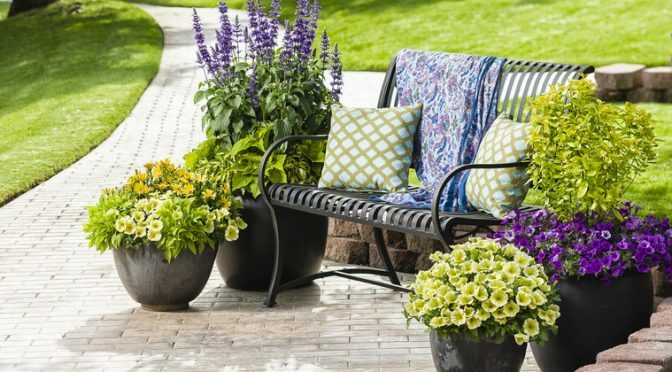 And the Winners are… 2018 Plants of the Year! 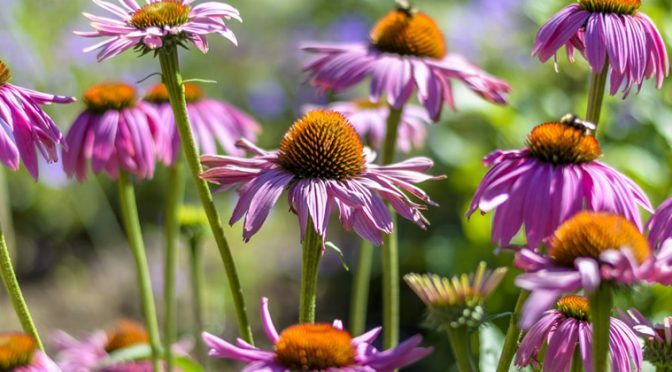 Candidates for the Proven Winners’ Plant of the Year are judged stringently by growers, retailers and home gardeners against the five criteria: Easy to Grow, Iconic, Readily Available, Perfect for Baskets or Containers and Outstanding Landscape Performance. Plants are selected that are easy for everyone to grow and deliver a clearly exceptional garden performance. 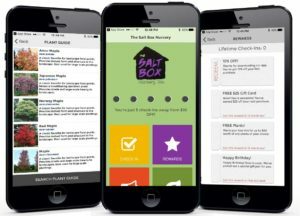 ​After several rounds of voting, the winners are announced to growers across North America one year in advance to ensure they have plenty of time to grow the millions of plants needed to satisfy the demand at retail. As a result, home gardeners can easily find a retailer who carries the winning Plants of the Year. 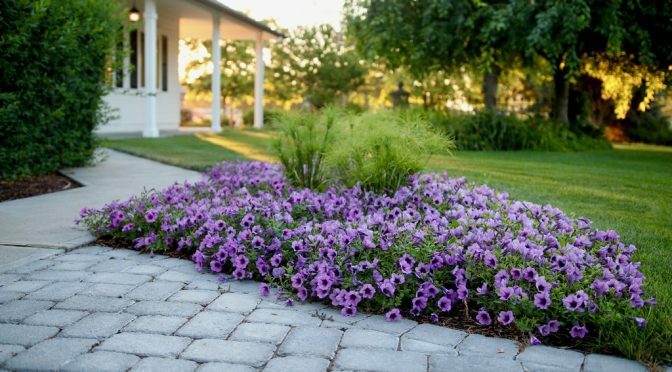 Supertunia® Bordeaux™ will quickly grow into a blanket of sparkling purple flowers in your landscape. 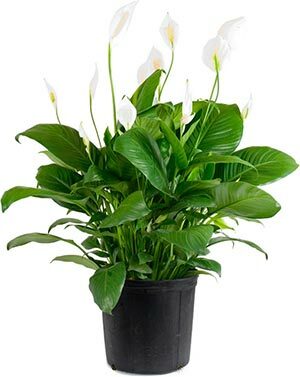 Since it is so vigorous, you won’t need many plants to make an impact. You’ll love how they look when you grow them in hanging baskets and upright containers. Supertunia® Bordeaux™ play well with others if you’re into playing matchmaker. Supertunia petunias are vigorous with slightly mounded habits that function as both fillers and spillers in containers. 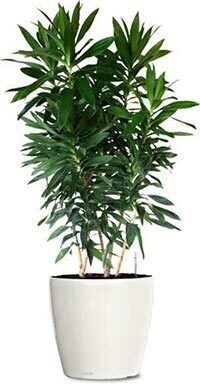 They are also excellent landscape plants, best suited to be placed near the front of beds. They have medium to large sized flowers. Whether you’re looking to add a mass of color to your garden beds or create impressive containers with curb appeal, Supertunia® Petunias are the best choice for your sunny landscape. You’ll be amazed how green your thumbs are when you grow these vigorous, reliable flowers. Coral bells like Primo ‘Black Pearl’ tend to grow best and have the prettiest coloration when grown in part sun, meaning 4-6 hours of direct sunlight per day. In very warm climates, full shade may be necessary. In cooler zones, it will grow in full sun if given adequate moisture. Primo ‘Black Pearl’ will keep its dark coloration even in full sun conditions. Coral bells like Primo ‘Black Pearl’ can be grown in containers, but keep in mind that it grows notably larger than standard varieties, so give it plenty of room to show off. 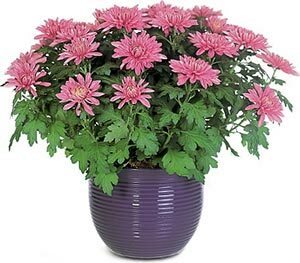 If growing it on its own, choose a container that is at least 10” in diameter and 8” deep. 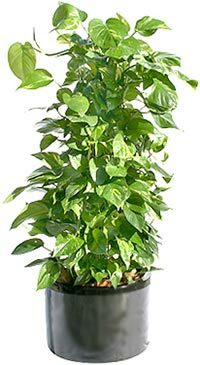 If you plan to pair Primo ‘Black Pearl’ with other plants in a combination recipe, you’ll need a much larger pot, at least 18” in diameter. Rich, velvety foliage forms a sumptuous textural backdrop for a bright floral bouquet of magenta pink blossoms that sing every spring. An updated, more petite look for weigelia, it’s the perfect choice for foundation plantings, edging landscape beds and planting en masse. Full-bodied looks and an easy constitution—that’s Spilled Wine® weigelia. Like a complex wine, Spilled Wine Weigelia embodies a certain richness and intensity that may look complicated, but there’s really nothing to it. It even adapts to most soil types, including clay. Giving it 6+ hours of sunlight, average water (about an inch per week), and a bit of slow release tree and shrub fertilizer in early spring will do the trick. Learn more about our National Plant of the Year program at www.nationalplantoftheyear.com. A garden is as distinct and individual as your tastes will allow. Whether you like it hot and spicy-with herbs and peppers that sing with flavor-or subtle blends of flavorful veggies and culinary herbs, it is easier than you think to have success in the garden and in the kitchen. Today’s kitchen gourmet is more likely to trek to the backyard garden than to the local market for fresh rosemary, peppers or cilantro. Where else can you be assured of a variety of fresh produce that is designed around your palette? Most vegetable and herb gardens need a minimum of four to six hours of direct sunlight for peak performance. The ideal exposure would be a southwestern or a southern exposure. That would mean the garden would be bathed in sunlight from around 10 am till 3 or 4 in the afternoon. We suggest using a rectangular shape for your garden bed. By keeping your dimensions to a 4′ x 8′ plot you will insure an easy accessibility to your garden for weeding, watering and harvesting. 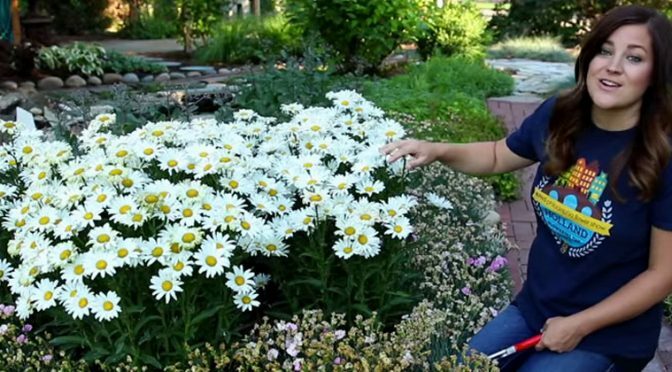 You might use a flexible garden hose to approximate your final garden. Just as a good carpenter will measure twice in order to cut just once, an experienced gardener will spend a week or so in gauging the available sunlight over the terrain in order to establish the best available location. Once your location is secured, then it is time to address the issue of drainage. Almost all culinary herbs and vegetables benefit from good drainage. A garden bed is built, as in built up, to insure the best possible conditions. This type of gardening is known as a “raised” garden. Raised beds can be created quickly, often in a single Saturday afternoon. Use wooded materials such as non-treated pine or cedar, wall-stone or edgers to frame your bed. This should result in an increase of anywhere from 6-8″ from ground zero. Once your materials are obtained and your spot is properly marked (use limestone), turn the existing soil to a depth of six to eight inches. A couple of passes with a borrowed rototiller will do the trick. If you are digging by hand, remove this soil and mix it with compost or manure, peat moss and top soil to create a rich cake-like consistancy. Turn all the materials in a large pile by fork and shovel and fill your now assembled frame. Attempt to mound towards the center. Drainage gaps can be used on the corner and center sections. Then it is time to lay out your plant material. Pay close attention to the spacing requirements listed on the plant tags. 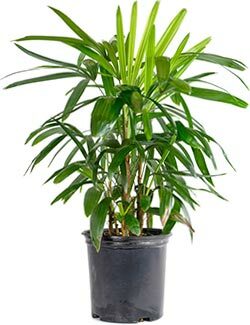 Plant for maturity. Our sample bed of roughly 32 square feet should hold at least 24 plants properly spaced. Depending on your needs, you might start with one or two plants of a variety. This should give you plenty of material for a wide variety of meal possibilities. With proper plant selection, it should be enough produce to spark neighborhood get togethers throughout the summer months. Bon Appetit! available to you. This is a great way for apartment or condo dwellers to maintain a small culinary garden. Whisky barrels, terra cotta planters or even window boxes can produce a bounty of herbs, vegetables and flowering material. The key to success remains in light, drainage and spacing. 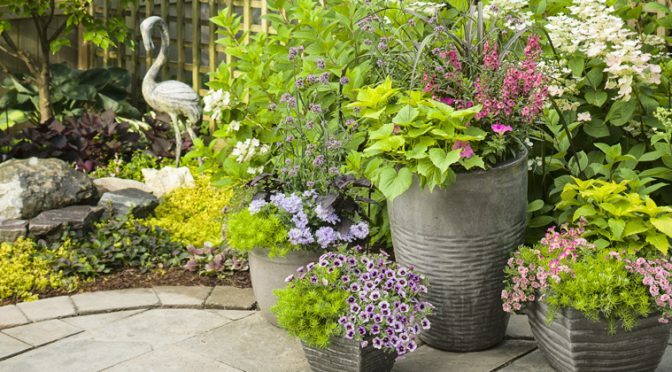 We’d love to introduce you to the many possibilities of container gardening. A garden is a wonderful place for a child to experience the natural world and learn how things grow. It is a place of wonder and surprise that excites the imagination as it teaches valuable lessons about the environment, responsibility, and discipline. With a little planning and effort-and a little help from you-your child can create his or her own garden world to enjoy all summer long. Give your child his or her own special space: Rope off a corner of the family garden, prepare a separate plot, or set up a rain-barrel planter. Just be sure to place the garden where it will get plenty of sun, at least 4-6 hours per day. 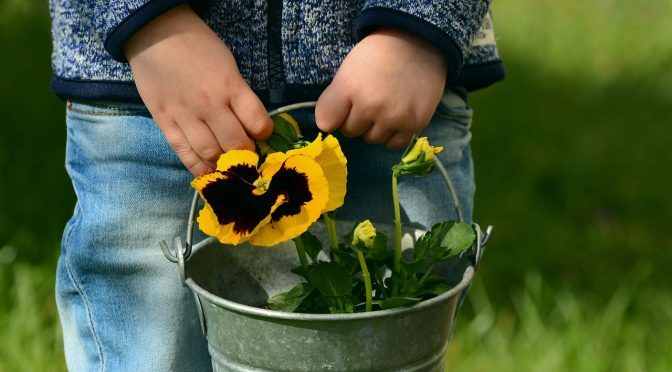 Help your child create a simple plan, using kid-friendly plants, such as large colorful flowers, tasty vegetables, and interesting plants that grow quickly. Great beginner plants include morning glories, zinnias, sunflowers, sugar snap peas, pumpkins, corn and tomatoes. 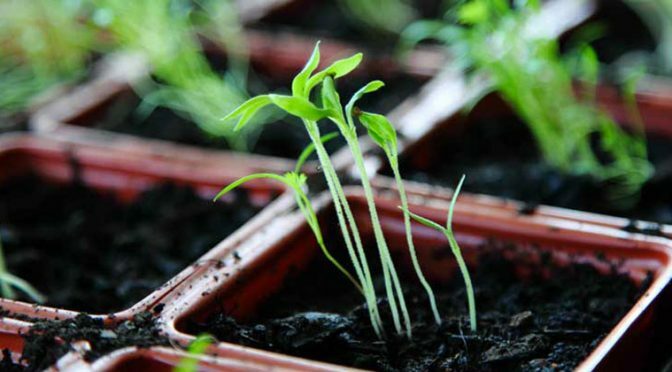 While buying pre-finished plants will the job easier, consider starting the garden from seed. Winter is the perfect time for planning the garden and for selecting and planting the seeds. In early spring, help your child prepare the garden bed. Children will appreciate the process if they understand a very basic concept: The soil is the seedling’s lunch box. This is where the plant will get all the food, water and nutrients it needs for proper growth. 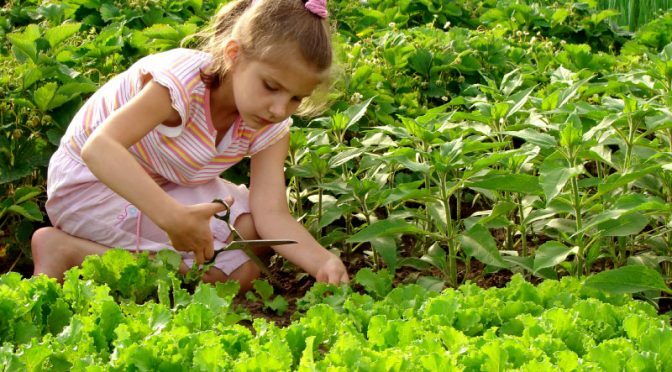 Preparing the soil will teach your child an important lesson in the rewards of hard work. The Potato Volcano is a great gardening and recycling project to try. Or, if your child likes private hideaways, you can help him or her create a pole-bean teepee or a sunflower clubhouse. Whatever project your child chooses, be sure to keep things fun. Let gardening open a whole new world for your child-one filled with earthworms and flowers, sunshine and showers! 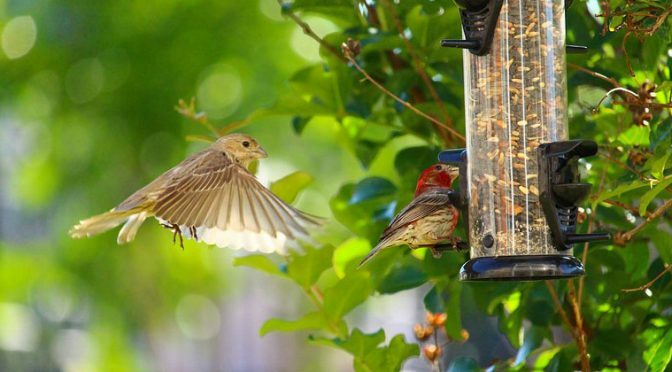 Wild birds require four things to be attracted to a backyard: food, water, shelter and nesting sites. If you make each of these four things available, you will be amazed at how many different species of birds become regular backyard guests. A good food source is the most important thing you need to attract birds. Food sources can be naturally occurring or supplemental sources such as feeders. Offering several different foods will attract a greater variety of birds. Not all foods will attract the same birds. For the best results, learn which birds are present in your local area and choose foods to attract them to your yard. Once your yard is a popular feeding site, more unusual species will become curious and you can offer them treats as well. Moving or flowing water will attract the most birds because it is more visible and they can hear it from a great distance. Water should be kept fresh and clean, but no chemicals should be used to purify water because they can be harmful to birds. Birds also need water in the winter. A heated bird bath will provide drinkable water that birds do not have to use body heat to melt first. Heaters can be added to regular bird baths or special heated baths can be used. Provide shelter at different levels for birds that prefer both high and low shelters. More dense plant growth is popular with small and medium bird species, while larger birds prefer perches where they can scan nearby areas for predators and other dangers. Shelter near feeders is especially popular since birds can quickly retreat if they feel threatened while feeding. Many plants can also serve as food sources for birds, so choosing plantings wisely can not only provide shelter but will also entice birds with a natural food source. Different birds build different types of nests, from twig piles to dangling cups. For the best results, learn what types of nests your regular backyard birds prefer and offer nesting sites that are suitable for their needs. By providing food, water, shelter and nesting sites, you can attract birds to your yard and invite them to take up residence.